The Law Office of Robert Dunne represents companies and individuals in commercial disputes. Attorney Robert Dunne always fights aggressively for his client's commercial rights. However, while litigation may be sometimes unavoidable, Mr. Dunne also makes every effort to achieve a negotiated result without litigation. With years of experience in civil litigation, mediation and arbitration, Mr. Dunne will negotiate the best result for you and/or your business. Whether it's a company that needs legal representation due to an unfair bargaining position with respect to another company or an individual dealing with a breach of contract issue, Mr. Dunne fights for justice in every case. Facing a Contract Dispute? Call us today for a free consultation. Is your company's financial stability in jeopardy because an important account is past due? Is your business being sued for more money than your cash flow can afford? Has a vendor failed to provide promised goods, disrupting your ability to meet your customer's needs? Has an individual breached a contract entered into with you? 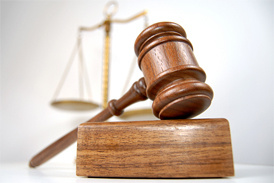 The Law Office of Robert Dunne provides aggressive and results-oriented representation. Whether you are an individual or you represent a sole proprietorship, partnership, LLC or corporation, Mr. Dunne can provide you with effective, personal and affordable legal solutions.